Nepal is beautiful country with various natural sceneries, historical and religious sites, arts & architecture and social cultures. Nepal can be the best tourism spot with the help of its unique features. But due to lack of infrastructural development it is unable to utilize its features. If we are able to provide all the infrastructural facilities we can attract a large number of tourists in our country. Nepal is country rich in cultural and religious sites which helps to attract large number of tourists. 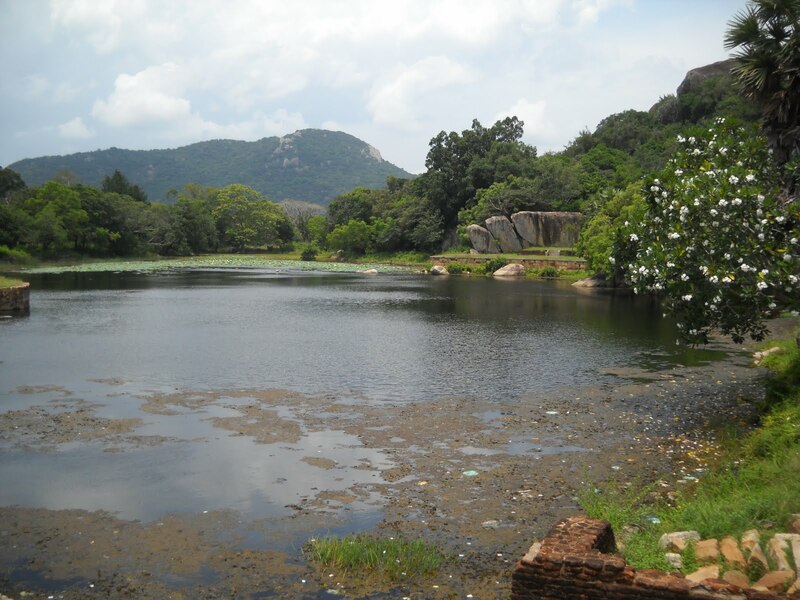 But due to lack of conservation activities such sites are being deteriorated which hampers tourism development. The means of entertainment for tourists are not sufficient and properly managed. As mainly tourists visit Nepal to pass their leisure time by hoping to get more entertainment. But means of entertainment are not properly managed for tourists. So, it is a major problem of tourism industries. The goods which are used by tourists are not produced in Nepal. The tourists goods are imported from different countries which are very expensive. If the required goods are manufactured in our country many tourists will visit Nepal. We do not have proper tourism centers to provide them necessary informations. Tourists does not want visit places without any information. So, tourism centers should be established in order to increase number of tourists. Nepal is the beautiful country with various natural, cultural and historical sites. But without its publicity it has got no importance. Nepal is unknown to many peoples in the world which affects tourism development. We are unable to provide better facilities and security to the tourists which is defecting tourism development in our country. They should be free from fear and provided with better facilities which helps to increase number of tourists. There is a high chance of internal conflicts in Nepal such as strike, Banda, political movements etc. 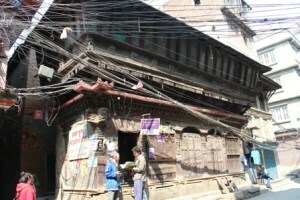 which damages the reputation of tourism development in Nepal among the tourist community. Though Nepal is culturally, naturally and geographically rich, there are some problems and challenges to promote the tourism industries. Though Nepal is rich in various unique features but it is unable to utilize them due to lack of infrastructures. The means of entertainment for tourists in Nepal are not sufficient and properly managed. Due to lack of tourists goods, proper tourism centers, facilities and safety for tourists,the number of tourists entering our country is decreasing. Various cultural and religious sites are being deteriorated due to lack of conservation which defects tourism development. There is always internal conflicts in Nepal such as strike, banda, political movements etc. which are the obstructions for the promotion of tourism development in Nepal. TRAGIC plane CRASH KILLS all 19 on board in Nepal! Tourists are all kinds of people who want to do different kinds of things while travelling. I am forty years old and from Germany. I completed well - organized trek to Dolpa. It is almost restricted for tourist. I felt hardship while walking. But wonderful scenery and pleasant villages lessened the hardship. Hi! I am Tom. I have just spent three week time in Thailand I am a students. I want to have a cheap trip of sunrise and sea beach. I like the history of Buddhism. Therefore arranged a guide and a porter. I spent very interesting days visiting the Buddhist monasteries in Nepal. On the basis of above statement prepare an editorial for newspaper. "Necessity of development of the Tourism sector"
The tourist who come to Nepal want to go to fully managed trekking of Dolpa. But this region is restricted for the tourists. Even so they feel through the foot trip and sightseeing of other places. Tourist also aim to view sun rising and visit the coastal areas. Nepal can be a famous place for viewing sunrise. Many tourists who want to study the history of Buddhism also come to Nepal. The extinction of tourism creates many problems in Nepal. Discuss any five problems and mention their solutions. The youth are easily influenced by the western culture and want to live like them, so this indulge them in unwanted activities. Foreign religion has affected the Hinduism and Buddhism in Nepal. Many people of tourists centers are adopting Christianity. The plastic bags, glass, bottle used by the tourists are thrown everywhere carelessly which create pollution in the environment. Seasonal unemployment is one of the problems created by tourists. For certain months a large number of people get job. It creates a problem to manage employment to the unemployed. Tourists offer heavy amount to even ordinary things. It habituates shopkeeper to sell the things in high price. So, prices of everything go up. Make our youths aware of the importance of our culture and civilization. We need to realize that we are not inferior to others in terms of culture, civilization, etc. Everyone should be made realized the importance of environment and we should preserve our good environment. Temples and stupas should be made and the importance of the religion would be spread. Religious tolerance should be developed. Lure tourists throughout the year and stimulate them to Nepal all-round the year. There should fixed government price. Could there be problems because of increasing tourists? Think of four possibilities to solve these problems. More and more tourism centers should be opened so that overcrowding and impact on natural environment decrease. The use of non biodegradable things should be banned in order to control land water pollution. Tourism is one of the main income sources of Nepal. So it should be well developed. But since few years ago the condition of tourism industry is in poor condition. Why? How can we better develop it? Mention any six suggestions. Tourism is one of the main income sources of Nepal. Six percent of national income is derived from tourism industry in Nepal. Tourism is an important foreign currency earning source of Nepal. Nepal needs foreign currency to import many important items. In 1999-2000 alone Nepal earned 12073.9 million rupees. So, it should be well developed. But since few years ago the tourism industry is in poor condition. It is because of the following reasons. Number of tourists is increasing in the Heritages listed in world heritage sites day by day. Those places are being polluted as well. Do you think only tourists are responsible to increase pollution there? Mention any three responsible sectors with their roles to make such place pollution free zone. World heritage sites are valued as international pride and wealth. To have them in larger or greater number is a pride and glory for a country. National or international tourists make crowd to visit them. But nowadays many such sites are affected by pollution. It disturbs the quality, dignity and popularity of such sites. For having such problem the governmental policy, tourists and local people are triangularly responsible in my view. The government should from the beginning make budget allocation, manage security, make further plans to enhance it advanced. Similarly, the local people close to it should show their initiative to protect it by mobilization of volunteers, coordination with the governmental authorities, stopping any types polluting factors. The tourists on the other hand should equally be responsible because their behavior and act shows the civilization. They should stop any anti-social activities. explain the point lack of skilled manpower, capital, technology. Any Questions on 'Problems in Tourism Industry of Nepal '?